Radiators are a very important part of your vehicle, for cooling the engine even under the most extreme conditions. The cooling of your motor is going to help your motor last longer and with the best care you can put over 150,000 miles on that car. Radiators can sometimes find their selves leaking, because of a rock, because of a hose, and sometimes because of an accident. Replacing your radiator when you find a leak that can't be repaired is going to allow your motor to continue to work and be cooled as it should. We supply a complete line of radiators that are going to be sold to you at the very best rock bottom low price. The lowest prices of aftermarket radiators are here, where you can have parts shipped to your home, or garage, express or standard delivery. You will find that our prices give you more for your money than the dealer can. Ordering online you will have the fastest possible services. 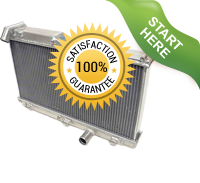 Dealers often times will have to order a radiator in, for your vehicle, but when you are ordering online, you cut out their part and you save more money and time. Our customer service department can help you choose what radiator you need if you are unsure about your car, make, model and year. Our customer service department can also help you choose what shipping method is best for your project needs. We have a complete line of shipping methods, one is sure to fit your fast repair needs. If you do not want to place an order online, you can call our customer service department during regular business hours and have your order on it's way to you in no time at all. Not ready to order right now? 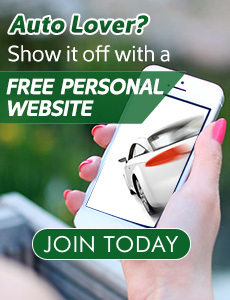 Be sure to bookmark our page, and look at a few other online parts stores. You will find that we do offer you the best prices, the fastest shipping and the best customer service department ever. Come back to our line radiator catalog and place an order when you are ready for the best aftermarket radiators possible.